A growing trend among Reformed churches is the practice of admitting young children to the Lord's Supper. 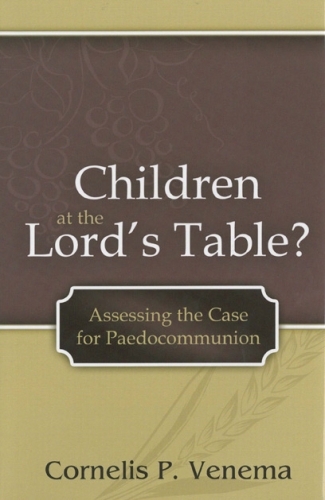 In Children at the Lord's Table?, Cornelis P. Venema provides an insightful analysis of the arguments used by advocates of this recent trend. After clarifying terms and explaining arguments often made in favor of paedocommunion, he considers the history of the church's confessions, teaching, and practice regarding the proper recipients of the Lord's Supper. 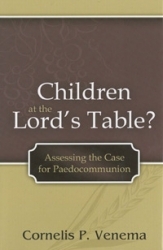 Presenting a historical, exegetical, and systematic treatment of the subject, Venema demonstrates the validity and value of having covenant children partake of communion subsequent to their personal profession of faith. This is an invaluable resource for every pastor within the Reformed tradition.